DUBLIN, IRELAND (Usual Suspect's blog) - ..........you use a pliers to cut your nails because you can't find a nail scissors! That's what they call a tweezers there too :) Joking!!!!!!!!! 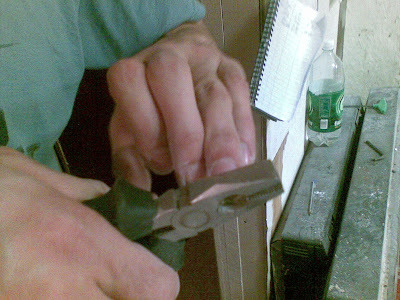 Pliers: the tool for the more 'heavy-duty' man in us all, ha ha!